In 2016, the U.S. Government launched a public consultation to evaluate the impact and effectiveness of the DMCA’s Safe Harbor provisions. In response, the Copyright Office received a lot of input, including more than 92,000 comments. Various rightsholders weighed in, as expected, and so did technology companies, law scholars and civil rights groups. After a review of the initial comments, the U.S. Copyright Office found that that there was little agreement on how to move forward. The MPAA, RIAA, and other industry groups called for extensive revisions including a ‘notice-and-stay-down‘ policy, for example. But, many service providers objected to this and said that the current system is capable of dealing with infringing content. The Copyright Office reviewed the various positions, but more than two years have passed and nothing has changed. At least, not in terms of US policy changes. In the courts and other countries, things are moving forward quickly. 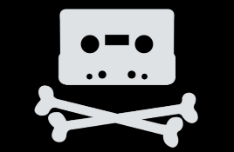 To review these changes and developments, the Copyright Office has announced a new public roundtable on possible changes to the DMCA’s safe harbor provisions. This is scheduled to take place in April and stakeholders and the public at large are being asked to chime in. “The Office is now announcing that it will convene an additional roundtable to enable interested members of the public to address relevant domestic and foreign developments that have occurred since the close of the written comment period on February 6, 2017,” the Copyright Office writes. The roundtable will have two sessions. The first will deal with US case law developments since the last meetings. This will include the BMG vs. Cox case, which touched on the appropriateness on repeat infringer policies of Internet providers. This “repeat infringer” issue cause quite a bit of uproar in the ISP community and several providers have tightened their policies in response. Those that fail to terminate persistent pirates, may be held liable. The second session will focus on foreign developments and how these relate to the effectiveness or ineffectiveness of Internet service provider liability. This includes the EU copyright reform proposals, such as Article 13. “Since 2017, several other countries also have addressed issues of copyright infringement and online service provider liability. For example, in Europe, work towards a possible new Directive on Copyright in the Digital Single Market has been underway since 2016,” the Copyright Office writes. The European Article 13 proposal, often referred to as the “upload filter” plan, creates new obligations for online service providers. This is closely related to ISP liability, and therefore relevant to the US Government’s DMCA review as well. Another sensitive but important topic is website blocking. While pirate site blocking was already commonplace in many countries at the time of the first roundtables, recent developments in Australia have brought it into the realm of ISP liability. “[T]he Australian Parliament recently passed an amendment to its copyright law that provides copyright owners with additional tools to enforce their rights regarding infringing content online, including injunctions to block domain names,” the Copyright office writes. The amendment in question allows copyright holders to apply for injunctions that will not only target infringing ‘online locations’ but also their appearances in searches. This means that Google and other search engines can be required to remove entire domains from their search results. The US Copyright Office would like to hear from US stakeholders and the public with their thoughts on these developments. Specifically, if they are relevant to the ongoing DMCA review. “The Office is aware that such proposals have generated widespread debate, with stakeholders expressing a variety of views concerning the potential implications for copyright owners, online service providers, and members of the public. Needless to say, the roundtable and the public comments will undoubtedly result in a wide range of opposing views again. COMING SOON – Get every STREAMING and MEDIA APK from one Place !